For ages 6 and up and for athletes 30 lbs and up to 220 lbs. 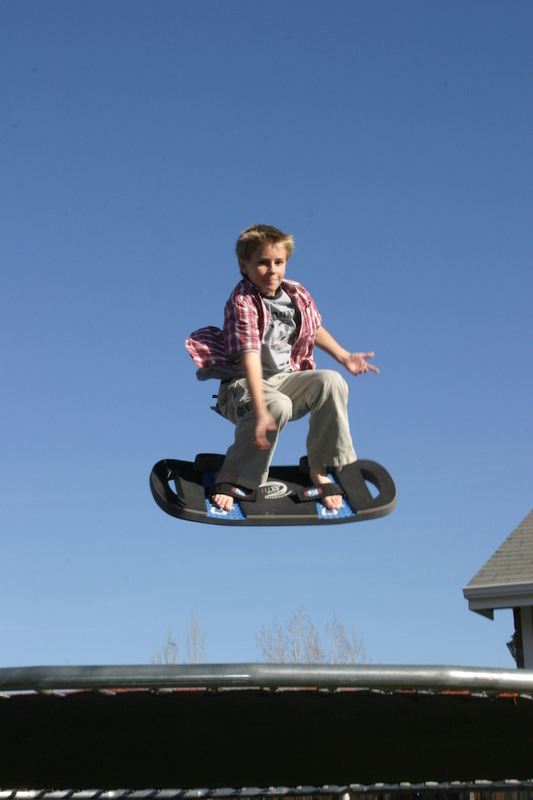 This is the original BOUNCEBOARD trampoline board that NSI has been manufacturing since 2003. 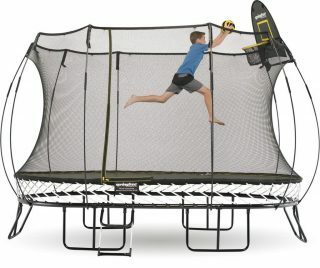 The only board that won’t rip the surface of trampolines because of its fabric bottom materials. This is a family favorite recommended for all ages and abilities. 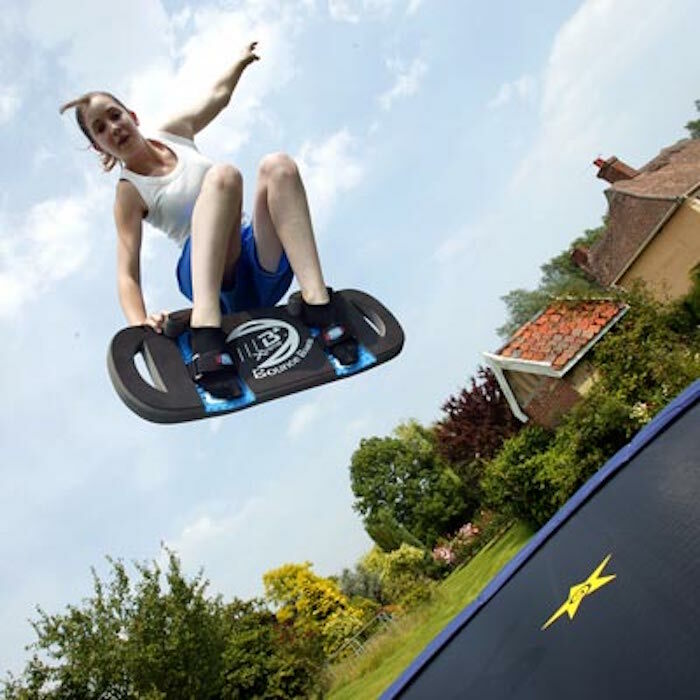 Families who have backyard trampolines will love sharing the NSI trampoline board. One size truly fits all. The stance is 17 inches. 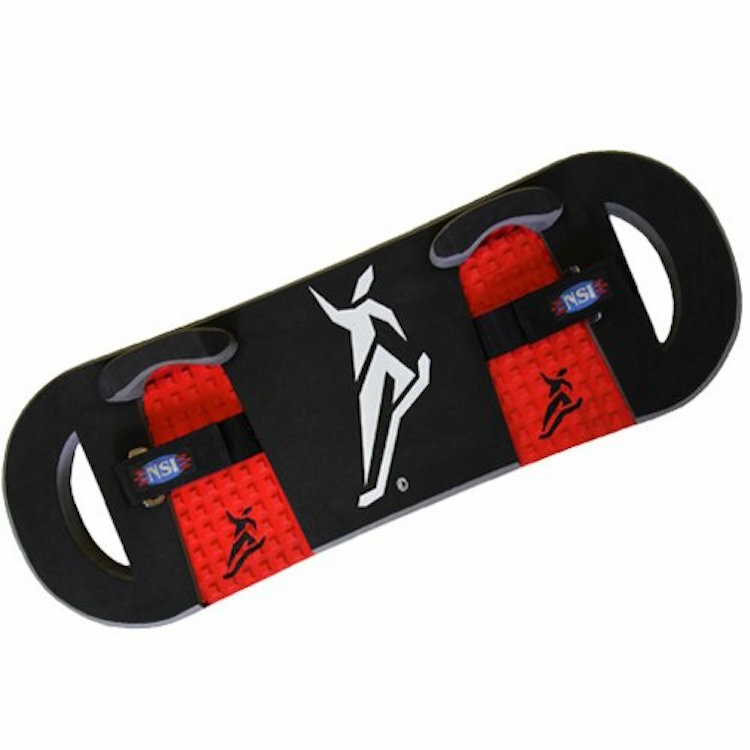 The weight of this foam trampoline board is lighter and easier on the legs for young and small users. All round favorite board for beginning to advanced skill levels. The strap has a one ring loop Velcro closure.